Plastic Name Badges, the Dentist’s choice. Our Magnetic Plastic Name Badges are proving to be the perfect name badges for Dental Practices and Dentist Surgery’s and have established themselves as the name badge of choice for Dentists. 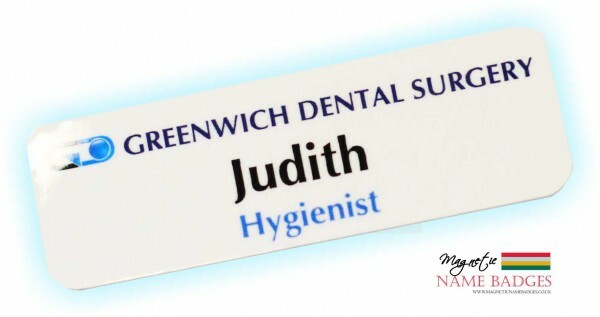 With their hygienic,high gloss easy to clean finish, Plastic Name Badges perfectly fit in and complement any Dental Practice or Dental Surgery. As with our full range of name badges, plastic name badges can be printed to your exact specification, there is no need to compromise when it comes to your dental badge design. 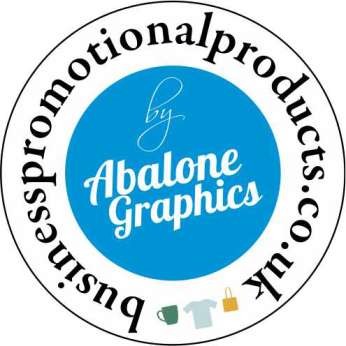 Utilising the latest digital printing techniques our plastic name badges can incorporate your full colour logo, individual names, job titles and anything else you would like to feature on your badge. 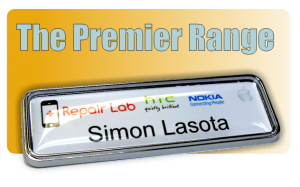 Plastic name badges are available in 3 different sizes and with either a magnetic or pin fixing. 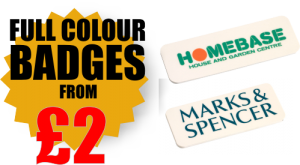 Our Plastic Name badges are great value for money and are actually our lowest priced name badge, but just because plastic badges are a low cost name badge this certainly doesn’t mean they are a low quality name badge. 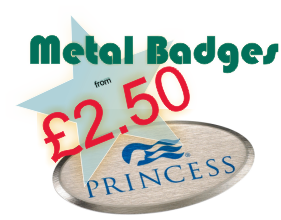 Another reason we believe our plastic badges are the popular Dentist’s name badge choice, is that they are available with no minimum quantity, and with no set up costs. 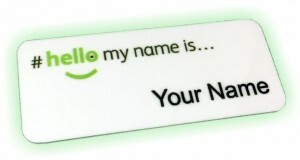 Plastic Name badges whilst being particularly suitable for Dental Practices are also suitable for all other kinds of environments, including schools, sports clubs, gyms and nursery’s to name just a few.